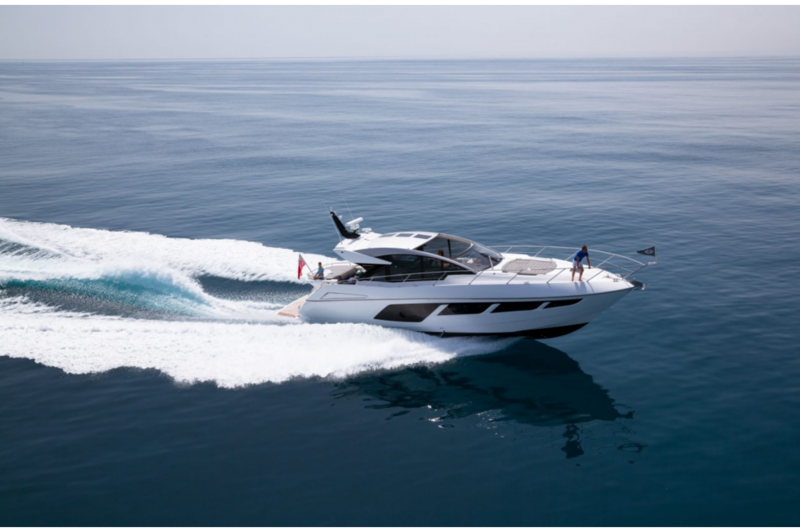 The Predator 57 MK II is an evolution of the award-winning Predator 57 which has been the segment leader since its introduction in January 2015, echoing all its stand out features with even more elegance and style. 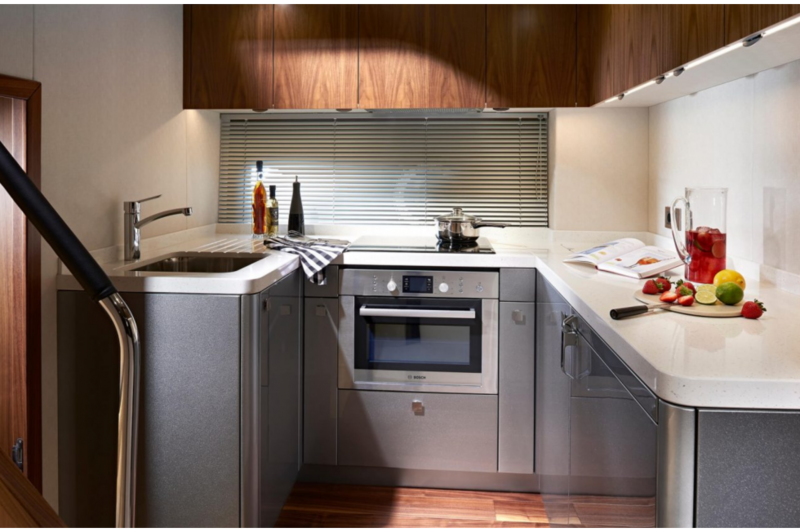 Stunningly crafted to perfectly balance style with practicality. 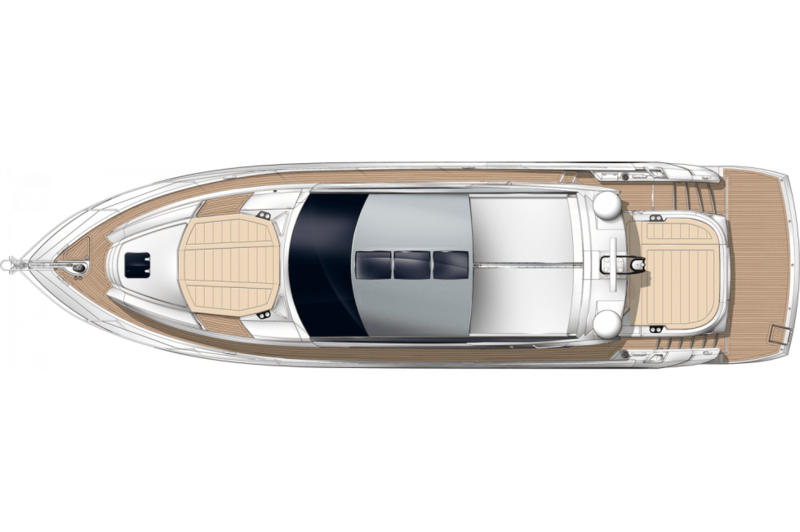 An electric lowering door between the saloon area and the cockpit, allows the craft to adapt for different climates and create a seamless entertaining space with uninterrupted views. 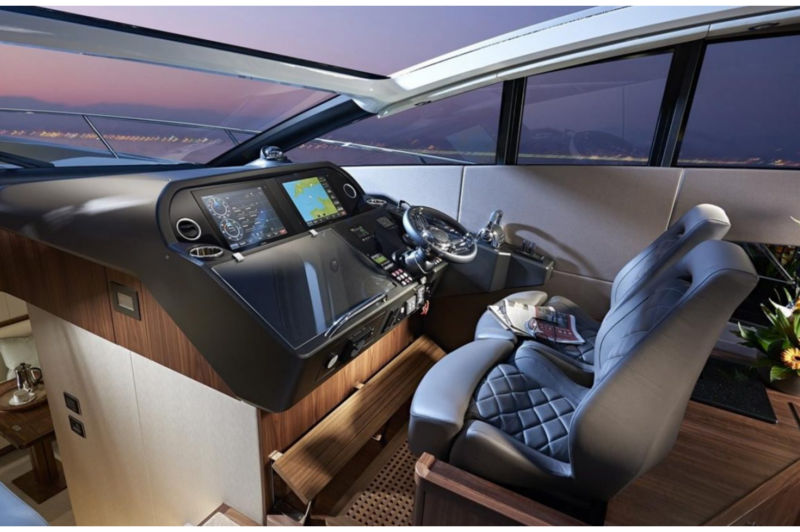 The uniquely open plan and flexible design of the Predator 57 MKII continues with a fully opening hardtop roof, also a moulded aft cockpit with a large L-shaped seating arrangement and wet bar. 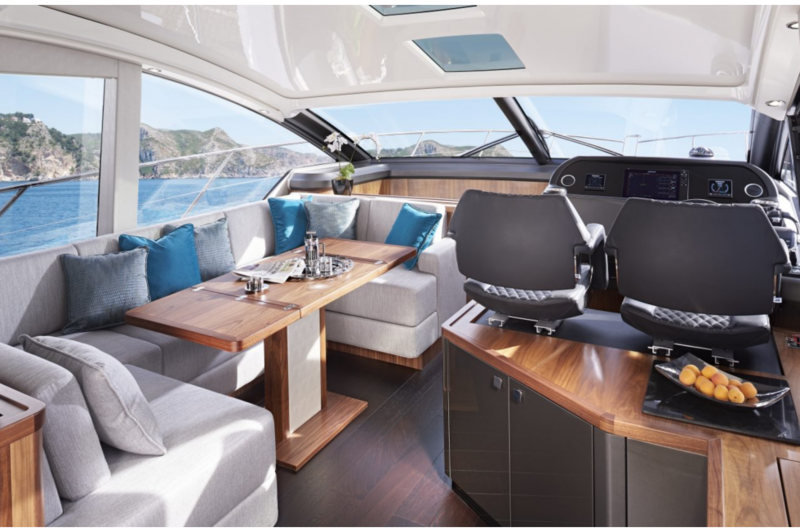 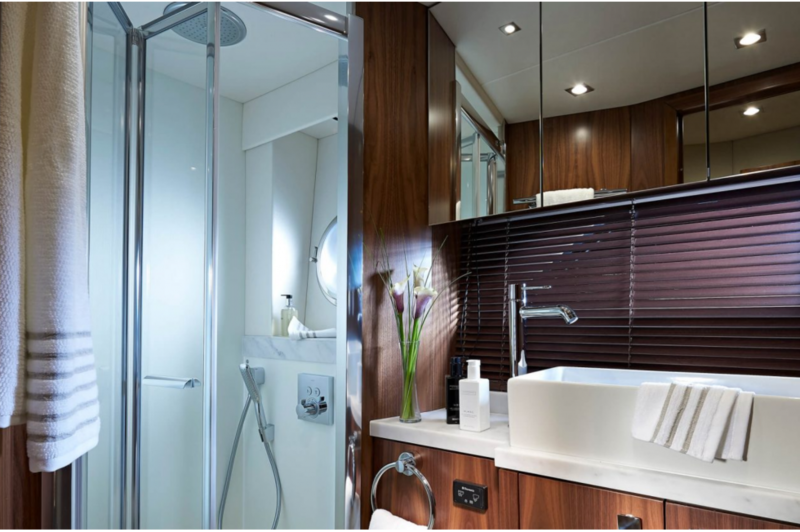 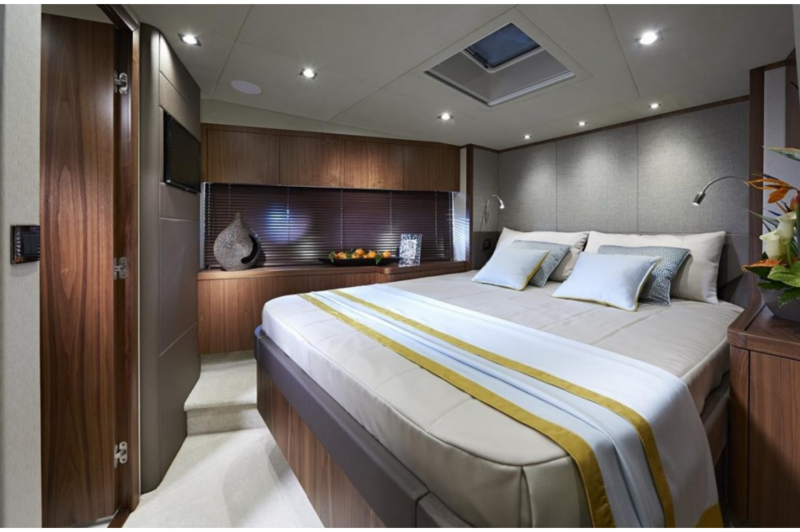 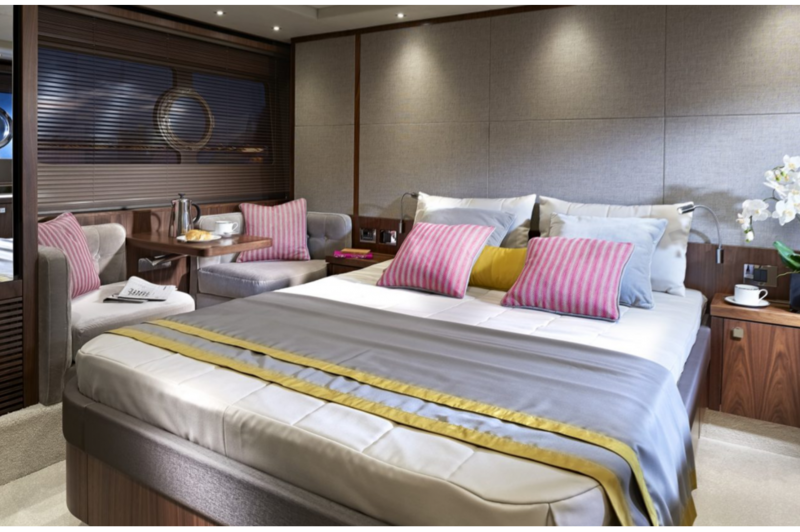 Fine and thoughtful design naturally continues to the exterior, with sleek yet oversized mullion-free hull windows to provide light-filled interiors. 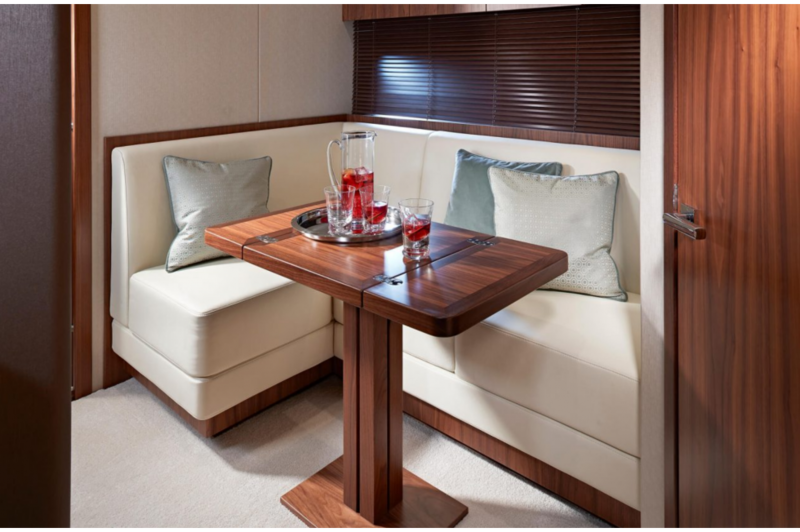 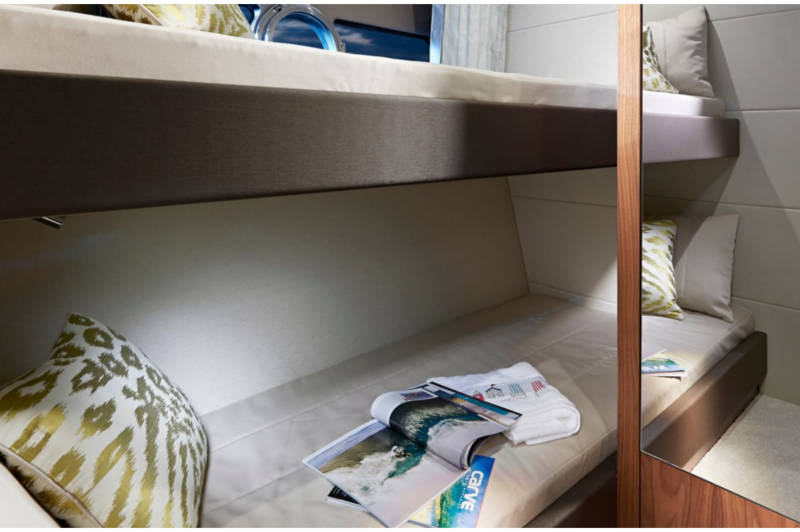 The transom area now features an optional mini beach club, this area offers an inviting space for family and friends to enjoy the built-in barbecue, overhead shower and fold-down transom seating. 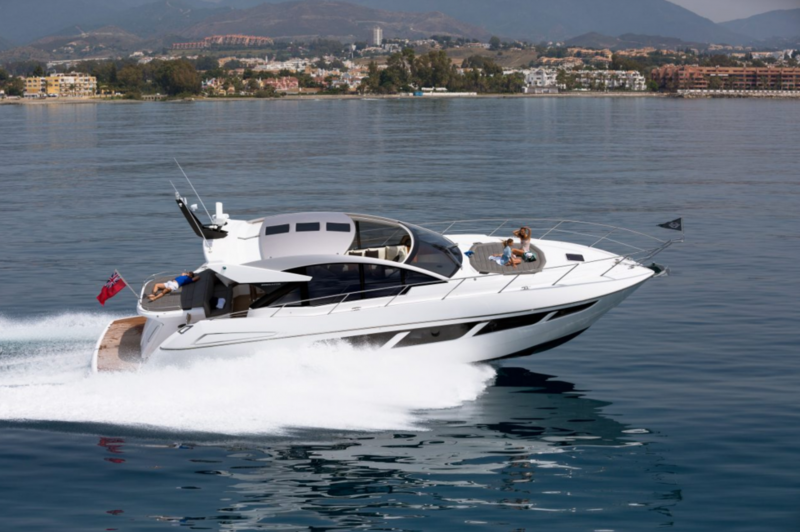 Of course where performance is concerned, the Predator 57MKII certainly delivers. 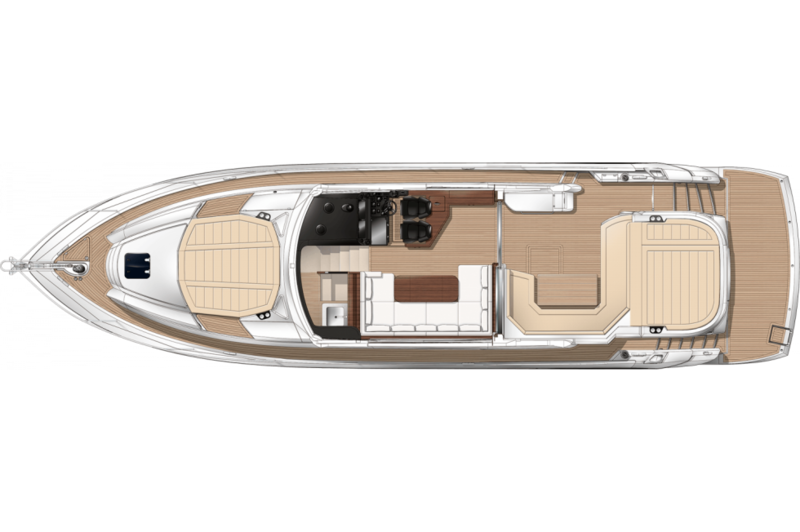 With speeds of up to 40 knots, it cuts a sharp, impressive figure on the open water, with exemplary sea keeping and unmatched agility. 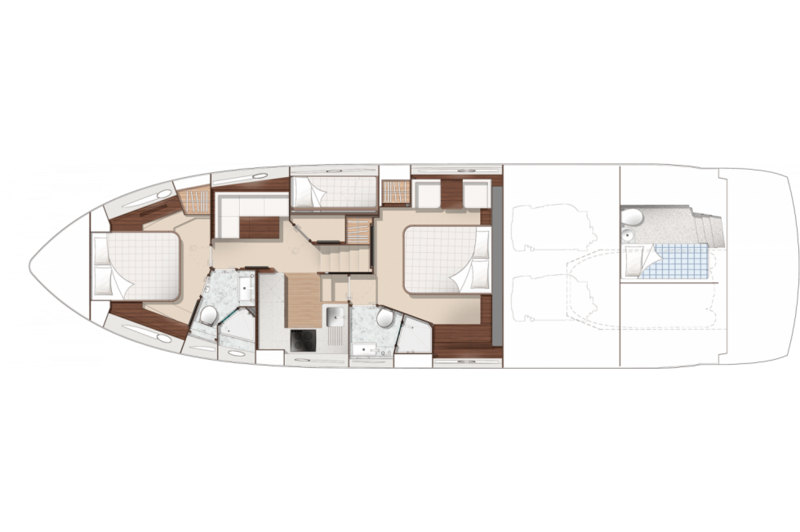 Truly a yacht designed for perfect cruising in luxury. 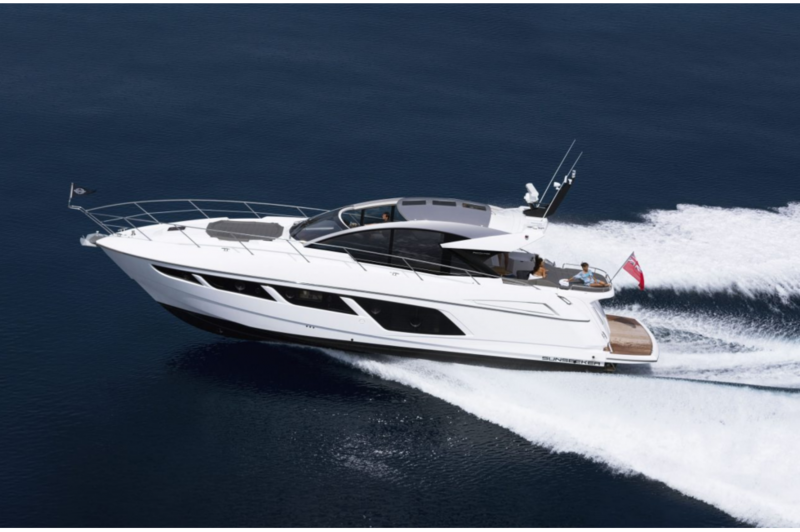 The Sunseeker Priority Service provides 24/7 Hotline Support Worldwide for for all Volvo Penta powered boats.